Harsh is using Smore newsletters to spread the word online. Agra is the city of the Taj Mahal, in the north Indian state of Uttar Pradesh, some 200 km from Delhi. It is Located on banks on Yamuna River. Taj Mahal is one of the new Seven Wonders of the World. It is also one of the three world heritage sites in agra which includes Taj Mahal, Agra Fort and Fatehpur Sikri. Every day thousands of tourists take a day trip to Agra from Delhi to visit these world heritage monuments. It is also said that if you leave Delhi without giving a visit to Taj Mahal than you missed something. Agra Fort:- Agra Fort is a UNESCO World Heritage site located in Agra, India. The fort is also known as Lal Qila, Fort Rouge and Red Fort of Agra. It is about 2.5 km northwest of its much more famous sister monument, the Taj Mahal. The fort can be more accurately described as a walled palatial city. Fatehpur Sikri:- Fatehpur Sikri is a city and a municipal board in Agra district in the state of Uttar Pradesh, India. The city was founded in 1569 by the Mughal emperor Akbar, and served as the capital of the Mughal Empire from 1571 to 1585. Classic India Tour offer Same Day Trip for Agra and around. Best way to enjoy Agra holiday in one day is by Car Rental Services and Tempo Traveller form Delhi. If you are going to Agra by car and By Tain it will take only 2-3 hour from Delhi to Agra. If you don't want to go Agra by car. We suggest one more way to get to see Agra in Same day by the train shatabdi express from capital of India. Which will takes only 1 hour and 50 minutes from Delhi. This train departs every day early in the morning. Pick up from your Hotel in Gurgaon / New Delhi - Morning drive to Agra - Journey time 3 Hours, via New Express Highway inclusive all tolls taxes. Noida/Greater Noida to Agra journey time 2 Hours in the morning. Meeting the guide on arrival in Agra city - Proceed to Taj Mahal Taj Mahal which was built in the 17th century by Emperor Shah Jahan for his beloved wife Mumtaz Taj Mahal remain Closed for all visitors on Friday. Just after the Taj Mahal - Excursion to the nearby Agra Fort, built in 1565 A.D another majestic creation by the Mughal Emperor Akbar. After Sightseeing Taj Mahal you will be having lunch Break in AC Restaurant Later Mehtab Bagh Sunset point, back side view of Taj Mahal. On Same Day Agra Tour By Car, Agra's beautiful markets lined with various marble factories, carpet shops and leather shops. After sightseeing of Agra, you are dropped back to the railway station to board train for Delhi. An amazing Same Day Agra Tour by Train from Delhi. Your same day Agra Tour to Agra ends. Umesh helps you to get best information about Tours to Same Day Agra Tour By Train here. To know more click here Same Day Agra Tour. Delhi One Day Tour Package, Same Day Trip Package, Same Day Delhi Tour, One Day Tour Packages In Delhi, Same Day Tour Packages, Tours And Travels Package, Holiday Packages India etc. Classic India Tour, Tour Operator in India Offers Special Discount on Same Day Jaipur Tour Package India, Delhi Jaipur Tour Package, Luxury Delhi Jaipur Trip, Book Same Day Jaipur Trip. You are looking for Trip in North India? 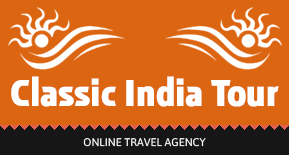 Classicindiatour.com offers many types of packages to explore real North India such as cultural and heritage in North India, pilgrimage in North India, Delhi Agra Jaipur Tour, etc.